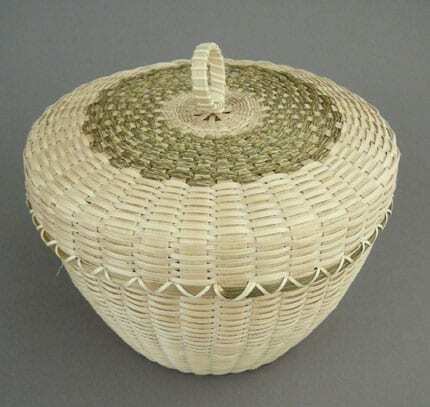 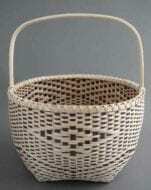 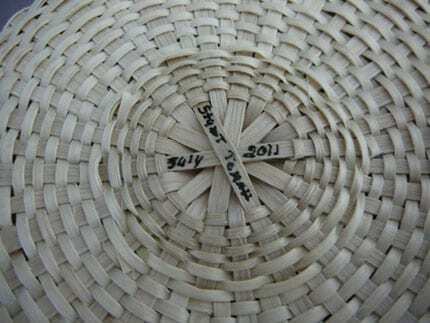 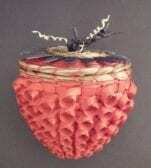 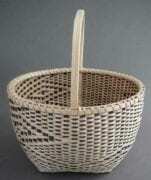 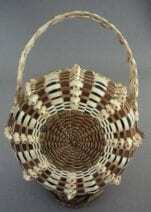 Stuart Tomah, Passamaquoddy basket maker, has created a beautiful basket from brown ash with sweetgrass adornment. 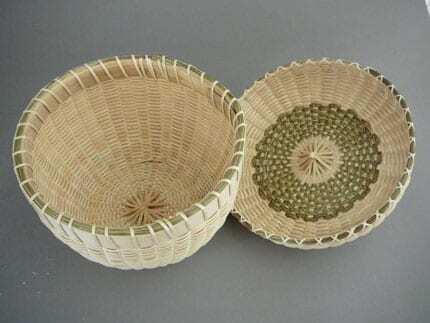 Note the narrow gauge of the splints. 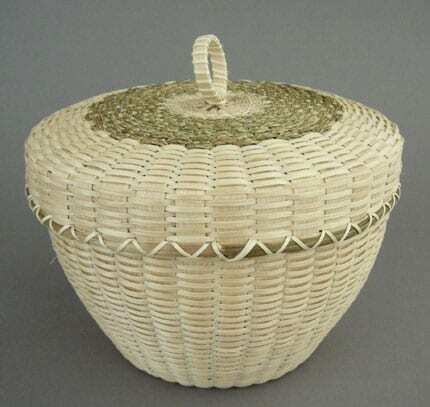 7 3/4″ w x 7″ h, including cover and finial.